Discover the best of Corfu Island scenery and style at Il Tesori Dassia Villas . Set on hill near the beach of Dassia in the heart of Corfu, the property is set in lush gardens and welcoming Corfiot-inspired design. Four bedrooms in each Villa can accommodate up to 10 guests, but larger parties can reserve neighboring Villas for more space. 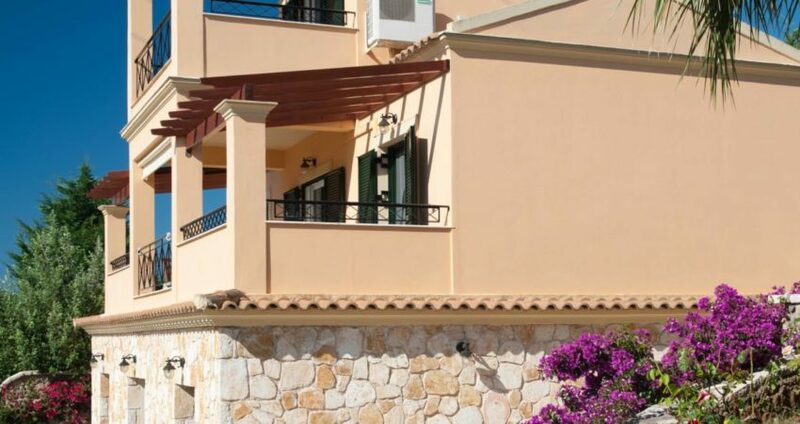 The complex is combined by 3 Luxurious Villas all complemented by private pools. Total can accommodate a party of 30 people. Each Villa is set in two seperate levels , each level features a fully equiped kitchen , living room and two bedrooms ( total each villas has 2 kitchens, 2 living rooms , 4 bathrooms , 4 bedrooms). Also kindly note that each Villa also has a private pool with wooden sunloungers with Umberellas and BBQ in the private garden area.